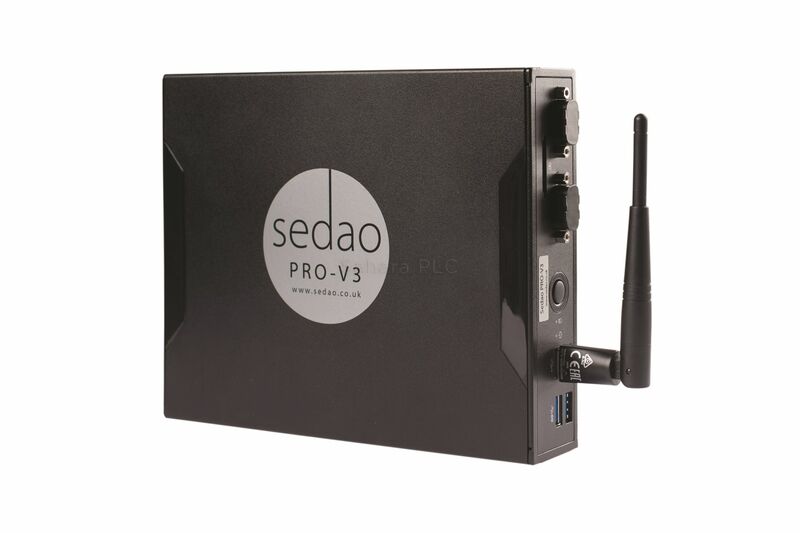 The PRO-V3-IF is the very latest evolution in Sedao’s enterprise level digital signage players. 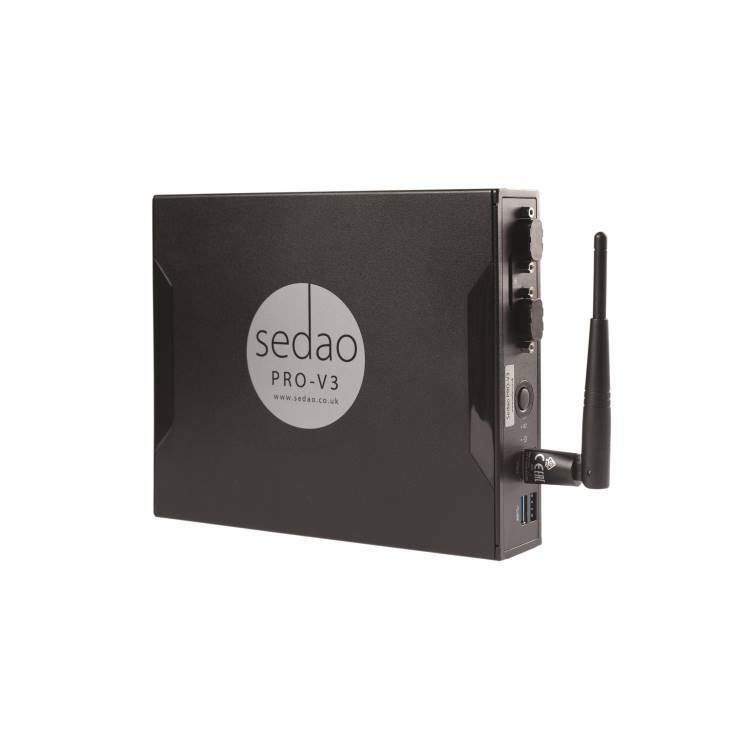 The first system to support use as a Cloud player, a LAN player or a stand-alone signage player, the PRO-V3 is a slimline player that packs in a host of valuable features to give you all the power and flexibility you could need. 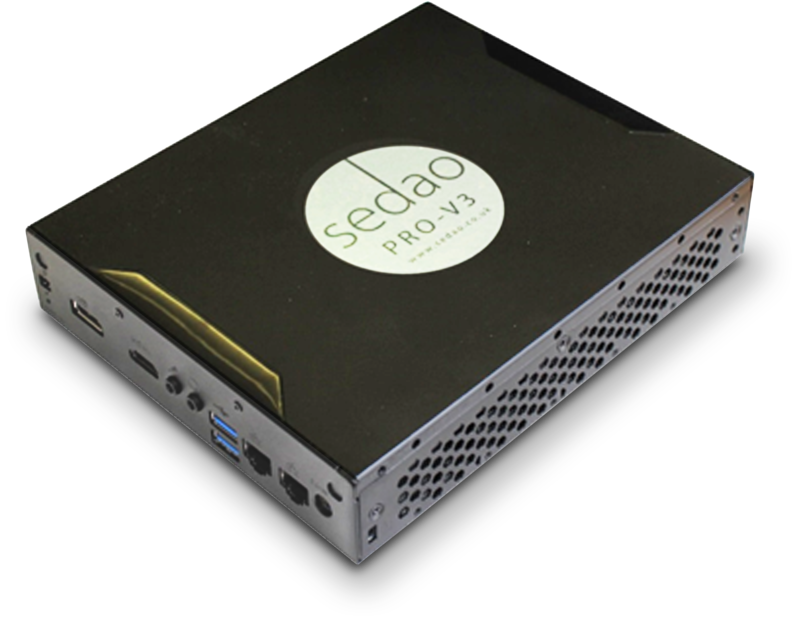 Advanced MMZones, IPTV, Touch Screen capability (for use with Kiosks), Time-of-Day Scheduler, Resolution Independence and more are built-in as standard.